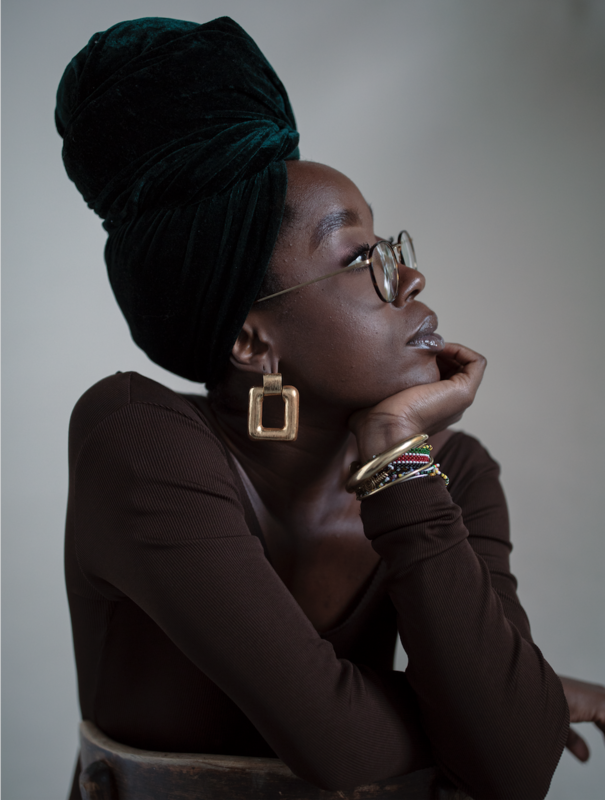 Christina Ihekwoahba is a Nigerian art director, photographer and graphic designer based in London. Her work explores themes of home, travel, nature and identity with a strong emphasis on blackness.. Not only does her art illustrate the intricacies of black identity in London but she also documents stories from all over the world through her photography series. 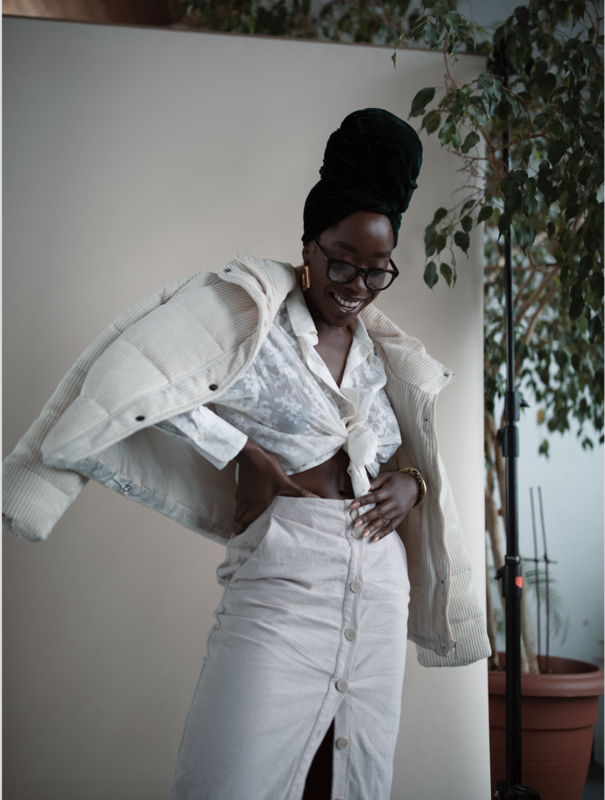 She’s currently an art director for Getty Images and is part of In Bloom, a creative agency and collective of young photographers, musicians, artists, illustrators and stylists who work together to inspire and uplift each other through their creative work. We had a talk about the importance of change and progression in her art, how Nigeria influences her work and the importance of travel and storytelling. What do you think of when you hear the phrase “I don’t see colour”? I don’t hang around people who have that view – why would I hang around with you?! You’re basically saying you can’t see me. Are you okay?! My skin colour is the reason why people go for non-bias training! I would describe myself as contagious. When I’m happy-go-lucky, other people feel that and you’ll always get the best of me. I’m like spin-the-wheel: I mirror and build a rapport with you without you even knowing so that if you’re feeling a certain type of way, I’ll feel that too. I’m quite blunt as well. I’ve had to grow into that because I used to follow a lot and not make my own decisions until I realised that, actually, my voice is very powerful. How do you infuse your identity into your work? My identity is British, Nigerian, black. In the years before Instagram, all my models were black or mixed race or brown. I wanted to see myself. In college, I would try to make magazines in college and make front covers of my friends to basically celebrate their features. My dad was born and raised in Nigeria and would often spend time here when I was younger, so memories of Nigeria – of home – are very strong and I bring stories from back then into my work. As I grew into photography and architecture. I realised I was interested in African architecture. and my teacher would always be like “no, no, no” and I would just be thrown off. Basically, you’re telling me my memories are invalid, which isn’t fair, but at the time I didn’t know. How has your work changed and how important are change and evolution within your work? Change has been the hardest part. At one point I felt quite stunted by Instagram because I allowed it to influence the pace of my change. When half a stadium is following you, you’re just like, “Wow can I actually do the same things I used to do that made the eight thousand or eight hundred people happy?” You start to let things affect you. Now, I’m able to art-direct and work with photographers and filmmakers from all around the world which has changed my work. My love of photography has also changed my work. Now it’s about, how can we make, let’s say, female photographers in Nigeria at the forefront documenting their stories and their experiences? Those are the questions that I’m asking now. Where are all the female filmmakers and photographers? Do they know how to produce a shoot? All of these things were only taught to a certain demographic. I don’t want creatives to suffer just because they don’t live in England. England isn’t the only place where you can make your dreams come true. You’ve said you’re still on a journey but where do you want to progress to with your art? I want to work with people around the world, mainly in Africa – it’s a beautiful continent. But also the Caribbean islands and South America. I’m over the westernised culture and I’m just ready to experience things elsewhere. I’m ready to step out of the English mould a little bit. I just don’t enjoy brick and mortar. I’m just fed up. How I’ll progress is by moving through the world. How does your work shape the way you interact with the people around you? People always tell me that what I’m doing is positive. Even though I don’t do this for validation, it’s nice when people are interested and invested in what you’re doing. I guess people also want to have in-depth conversations with me. Sometimes that’s really hard because I don’t always want to talk. But for the most part, I do enjoy when people want to talk to me about home, identity, travel and photography. I want people to remember me as being selfless. I hope people will remember me for always trying to give. Physical accolades are cool but the most important thing is how people felt when I was in their space and what I’ve done to enhance that.